I have found that Loom Knitting Patterns or at least, good ones are quite hard to come by. 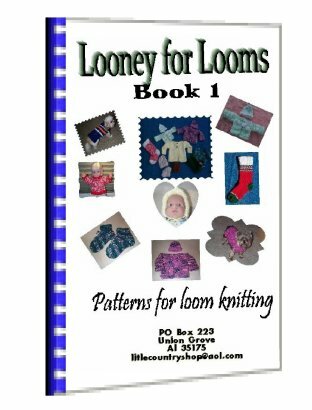 On doing a bit of searching, I came across this EBook called Looney for Looms by Linda Spangenburg. It was great to see that there were loom knitting patterns out there that were for items other than just hats and scarves, which for some reason seem to be the most common garments to knit on a loom. Best of all the patterns are easy and inexpensive, and they are made on the Knifty Knitter Looms, like these ones below, but the patterns in the Ebook can be adapted to any loom of your choice as long as the pegs are spaced 3/4 inches apart. You can click on the pictures if you would like to find out more about the Knifty Knitter Looms and how they work, or even buy some looms at the best prices. 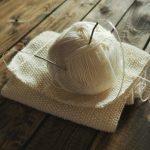 Loom knitting is great for people who cannot knit with two needles, or even if you want to get a project done in a hurry. Looms, unlike knitting machines, are portable, so you can take them anywhere you go. I knit while I am waiting for my daughter to finish her extra-mural activities in the afternoons. The adult slippers are my favourite, as they come fully lined and knit up in once piece quickly and easily. These slippers make great gifts. Looney for Looms only costs $9.99, and if you purchase now, you can start knitting Xmas gifts for the entire family that they will love. You can also save money by knitting for baby showers or even to sell and make some extra cash. You can download the book straight away after purchase and either print it out or keep it on your hard drive. Click here to grab Looney for Looms at only $ 9.99. Please share below when you knit your first garment and tell us what it was. Here are some video tutorials about knitting on a loom for beginners that may help. 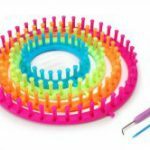 Loom Knitting Instructions – It’s Easy To Do! 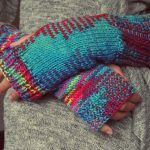 Loom Knitting Instructions - It's Easy To Do! Great site, enjoyed reading your article. I have tried knitting in the past but never got the hang of it. It was very difficult for me to control! Loom knitting sounds great. And I think they would be great for Christmas presents, people appreciate things more when you have taken the time to make them something as opposed to buying them a gift that they probably don’t want anyway. Too true Jenny. As long as you have time on your hands. I just found the perfect gift for Grandma! She is just getting into this, and I know for a fact that she doesn’t have a whole kit. I’ll get the kit and that book, and she will probably be excited! Of course after that, I’m thinking our family will get a lot of knit sweaters, gloves, and shoes for birthdays and Christmas. Thanks for posting this, it solved a problem that I was thinking about for the past 2 weeks! Glad I could be of assistance Keoni. Hope your Grandma enjoys her Loom Knitting Patterns. I never thought knitting could be a real big thing but you’ve sure opened my eyes up to it. I did laugh when I say the title Looony for loons though haha. With a name like that I’m sure this product is selling well. I need to get into knitting just to see how hard or easy it is. No harm in trying Chris. Your article was very interesting to me today, I really did not realize knitting was so popular and in demand today. The last time I knew anyone who knitted was my grandmother, I did not realize knitting was still done regularly today. How much do you think it would cost to get started in this hobby? As much as a ball of wool and a set of knitting needles – extremely affordable. Thanks for the comment.